Jalgaon famously known has the Banana-city depends majorly on farming for its economy. Being located in a very production and irrigated area helps Jalgaon in many ways. Apart from farming there are many agriculture industries that have developed in Jalgaon. Jalgaon district produces more than 16% of India’s bananas which adds up to 3% of world’s banana production in Jalgaon. According to the Maharashtra State Banana Producers Co-operative Federation (Maha Banana), 66% of total Banana cultivation in the state happens in Jalgaon district. Now there are talks establish an export center of bananas at Raver. Yawal and Raver are famous for the massive production of bananas. Another major crop of Jalgaon is cotton. Other products include Jowar, different pulses etc. Jalgaon is known for its advances in horticulture. 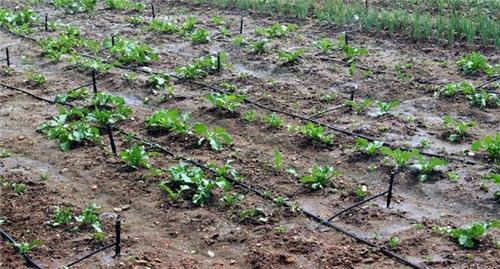 This type of production in large scale, using drip irrigation technique has become a great model for the farmers. These agricultural products are an important part of the city’s economy. Industries in Jalgaon that help the economy are by products of the agricultural sector. Prominent industry centres in Jalgaon are the bio fertilizer production, pipe manufacturing, fruit processing, drip irrigation, pulse milling, green / solar energy and mattress manufacturing and printing of educational books. The city is a major collector and distributor of agricultural goods and agriculture input industry. Jalgaon Market is mainly known for Gold, Pulses, Wholesale Tea, Agriculture, and Grains Trading. It is also an important centre for cotton textiles and vegetable oil factories, especially for groundnut oil and hydrogenation plants. Jalgaon is nowadays becoming a well trading centre of Maharashtra and a leading producer of sugarcane. This year the sugar production has increased. Pulse Milling in Jalgaon which started in the late seventies with JJ Group, subsequently grew into multiple plants employing hundreds of people and serving all of India and over 20 other countries. Until recently traders and processors in Jalgaon have been leading the country in the pulse trade and processing. The city has over 500 chemists and drugstores; the highest number for a town of its size. The city also famously known as the gold-city is called so because of its gold market which has reputation of being pure. Modern Jalgaon is now boasts of vast industrial area, educational institutes and good hospitals.